I recently saw the Grace Kelly: From Movie Star to Princess exhibition, currently on view at Toronto’s TIFF Lightbox. Of course, I fell in love with the dresses and jewels, but after leaving the show I kept thinking about the sketches of hairstyles designed for the princess by the legendary hair stylist, Alexandre de Paris. 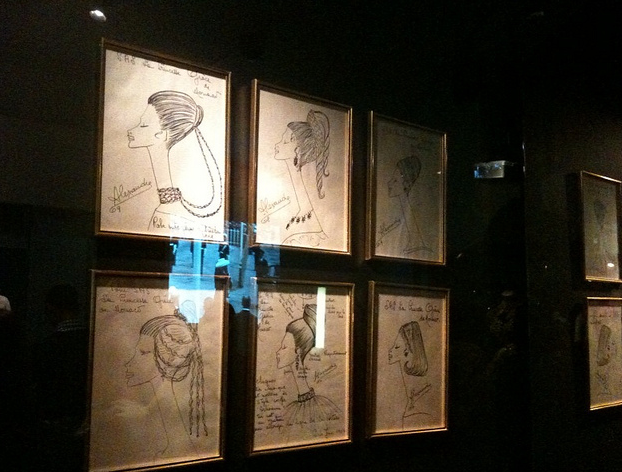 Sketches of hair designs for Princess Grace. 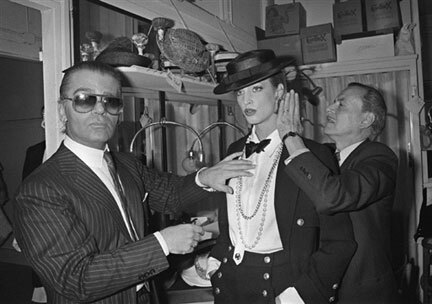 Alexandre was born in 1922 in Saint Tropez and from an early age knew that he wanted to work in fashion. He eventually went to work with “the emperor of hairdressers,” Antoine. 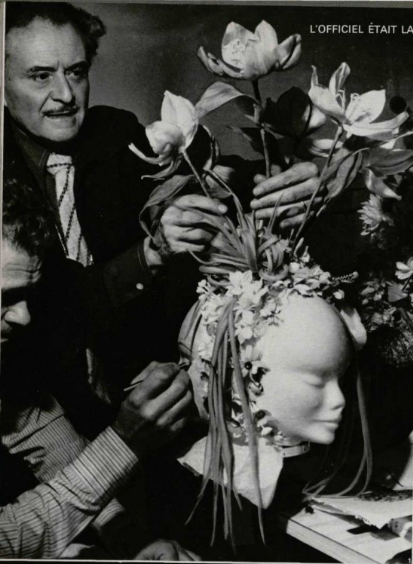 Soon Alexandre was working on royal hair, becoming the stylist to the most discerning tresses, including the Duchess of Windsor, Jacqueline Kennedy, and, of course, Princess Grace. The list of celebrities that have donned his do’s goes on and on, perhaps most famously Elizabeth Taylor, who worked with Alexandre on several films (he did Cleopatra’s hairstyle in the Hollywood film) as well as in her personal life. 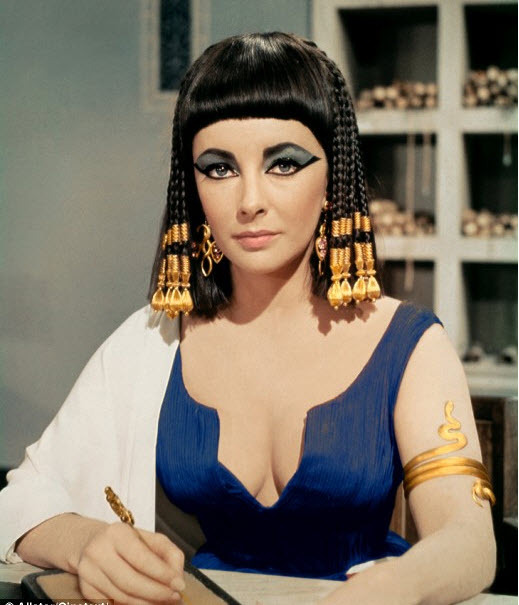 Elizabeth Taylor in Cleopatra. Hair by Alexandre. Alexandre’s hair styles are also found everywhere in the world of (especially French) fashion. You name the designer – Chanel, YSL, Dior, Ungaro, Karl, Jean Paul Gaultier – and ADP has done the hair for their runway shows and editorial shoots. This might give you some inspiration for your own New Year’s hair styles or, at the very least, provide some hair eye candy. Enjoy! At the first meeting of the Haute Coiffure Francaise. Monaco, 1978. Hair style designed for Dior Furs, earrings by Dior Boutique. Photo by Roland Bianchini. 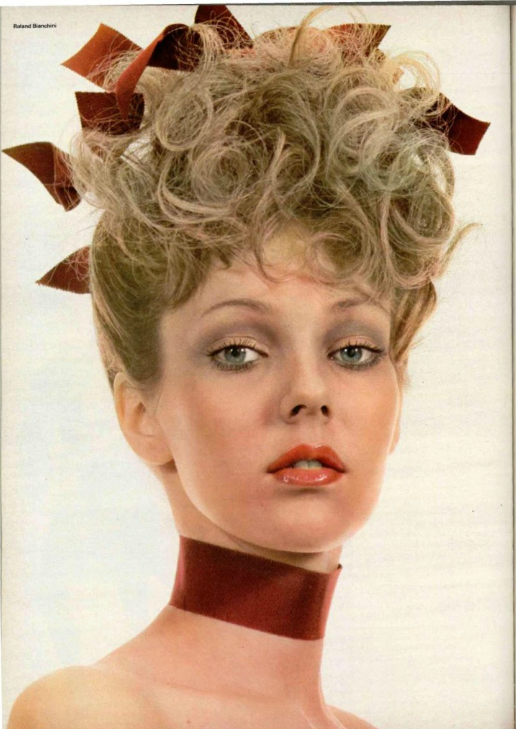 L'Officiel, 1972. Alexandre hair style. L'Officiel, 1971. Monpezat, Etienne. “L’Enfant du Coeur.” L’Officiel. No. 658, 1979. P. 147. “Sous le casque d’Alexandre.” L’Officiel. No. 593, 1972. P. 54-7. I am sure he is the greatest hairstylist with remarkable hairstyles creations. In the fashion and entertainment business, hairstyle will make the final touch of appearance, the beauty and glory. This is a very interesting post; a marvelous exhibition, Princess Grace would have been enhanced had more information about Alexandre and his hair styles been provided. Sadly the sketch for Grace Kelly get lost in the rather pallid wall on which the sketches hang, muted by the opulence of the gowns and hats in large cabinets nearby. We don’t always think about how hair can adorn and augment, or conversely, take away from a whole look. 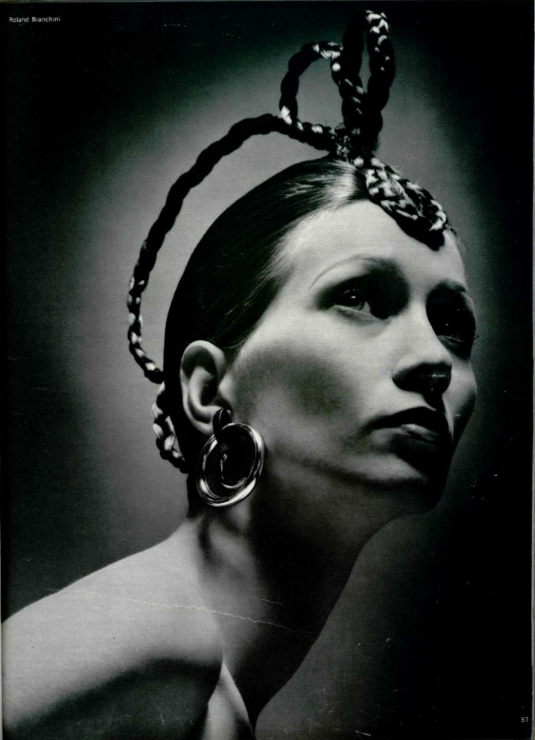 I think the Cleopatra styling is particularly effective, probably because it is so well-known. But I recall a “hat” that Princess Grace wore that looked very much like very tall twining hair and branches–just like the 1978 image above. I’m extremely impressed with your writing abilities as well as with the structure to your weblog. Is this a paid subject or did you modify it your self? Anyway keep up the excellent high quality writing, it is uncommon to see a great weblog like this one nowadays..
stuff previous to and you’re just extremely magnificent. I really like what you have acquired here, really like what you’re stating and the best way by which you say it. am here now and would just like to say thanks a lot for a marvelous post and a all round thrilling blog (I also love the theme/design), I don’t have time to look over it all at the moment but I have book-marked it and also included your RSS feeds, so when I have time I will be back to read a lot more, Please do keep up the excellent job. Excellent post. I used to be checking continuously this blog and I’m inspired! Extremely helpful information specially the closing part 🙂 I maintain such information a lot. I used to be looking for this certain info for a long time. Thank you and best of luck. RSS issues? Anybody whoo knows the solution can you kindly respond? Euh êtes vous sûr ԁe ce que vous écrivez ? Je peux tе dire qսue ce n’est pas erroné ..